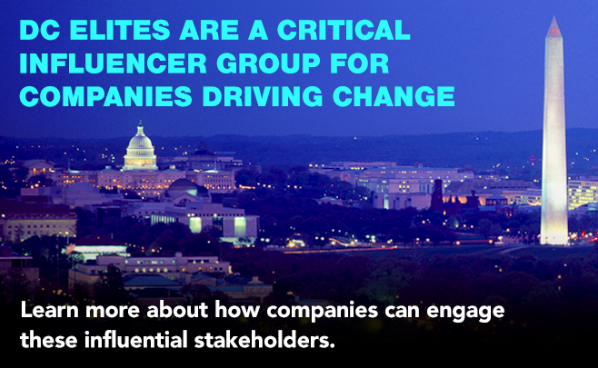 In today’s activist world, Americans–and particularly those that drive the political and policy conversation in our nation’s capital–have a growing appetite for companies to take action on the issues of the day. In addition, DC elites are more likely to view CEOs as being responsible for social change (78% vs. 72% adults overall). View the full DC one pager here.